Israeli researchers and foreign colleagues discover that the common house pet began invading human settlements far earlier than thought. Mice began infesting human settlements some 15,000 years ago in the Middle East, said a study Monday that suggested the little rodents have been scurrying underfoot far longer than previously thought. As soon as hunter-gatherers began settling down rather than roving from place to place, house mice began to edge out their wild counterparts, said the study in the Proceedings of the National Academy of Sciences (PNAS), a peer-reviewed US journal. "The research provides the first evidence that, as early as 15,000 years ago, humans were living in one place long enough to impact local animal communities -- resulting in the dominant presence of house mice," said co-author Fiona Marshall, a professor of anthropology at Washington University in St. Louis. Previous research has pointed to the rise of farming as the starting point for transforming human relations with the animal world -- particularly small mammals like mice. But this study suggests "that the roots of animal domestication go back to human sedentism thousands of years prior to what has long been considered the dawn of agriculture," said Marshall. 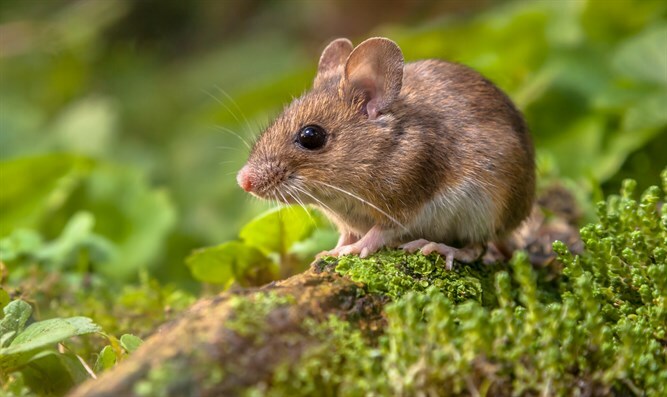 In hunter-gatherer villages in the eastern Mediterranean region, house mice were common more than 3,000 years before the earliest known evidence for agriculture, said the findings. When hunter gatherers settled in one place, they provided shelter and regular access to crumbs and scraps. Mice would learn to benefit from this and would stick around, marking an early phase of domestication. Researchers focused on an ancient Natufian hunter-gatherer site in the Jordan Valley of Israel, where excavations have shown a wildly swinging ratio of house mice to wild mice during different prehistoric periods. They studied variations in the molar shapes of fossilized mice teeth going back as far as 200,000 years. At times when people were more likely to settle for long periods, the house mouse (Mus musculus domesticus) reigned over the short-tailed field mouse (M. macedonicus), and pushed most of them outside the settlement. In periods of drought or food shortages, when hunter-gatherers were forced to move more often, the populations of house mice and field mice reached a balance. "The findings provide clear evidence that the ways humans have shaped thenatural world are tied to varying levels of human mobility," said Marshall. The study included researchers from the National Center for Scientific Research in Paris, France, and Lior Weissbrod of the University of Haifa in Israel.